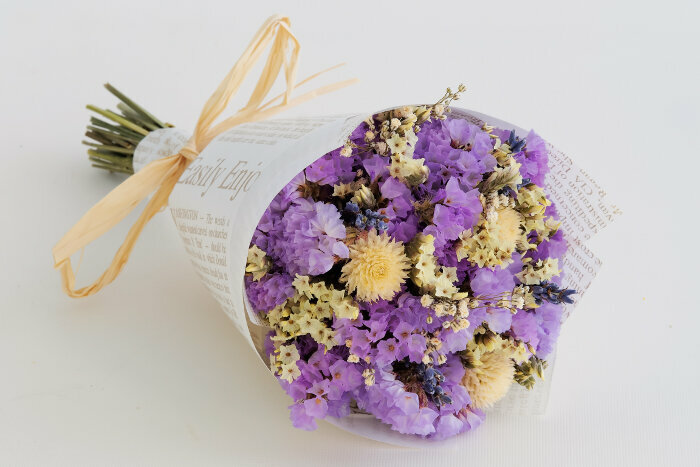 Statice is grown as both a cut flower and for use in dried flower arrangements. This airy flower is often used as a filler if mixed bouquets. 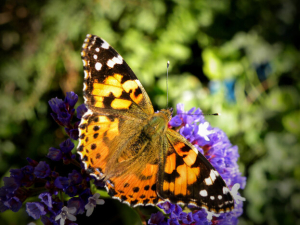 It is typically purple or blue, but recent breeders have developed statice in shades of yellow, white, apricot and rose. What Does the Statice Flower Mean? The meaning of the statice flower depends on the occasion or event, but there are some commonly accepted meanings for statice. Statice’s primary meaning is one of remembrance, making it a common flower in memorial wreaths and bouquets. Statice (Limonium sinuatum) also goes by the common name sea foam and marsh rosemary. 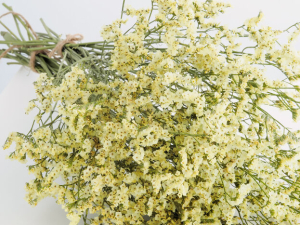 It earns its name from the Greek word limonium which means meadow where these flowers were found growing wild. Today, statice is cultivated as either an annual or perennial and can be found worldwide in garden beds. Native to the Mediterranean region, statice is drought tolerant and thrives in average to poor soil. 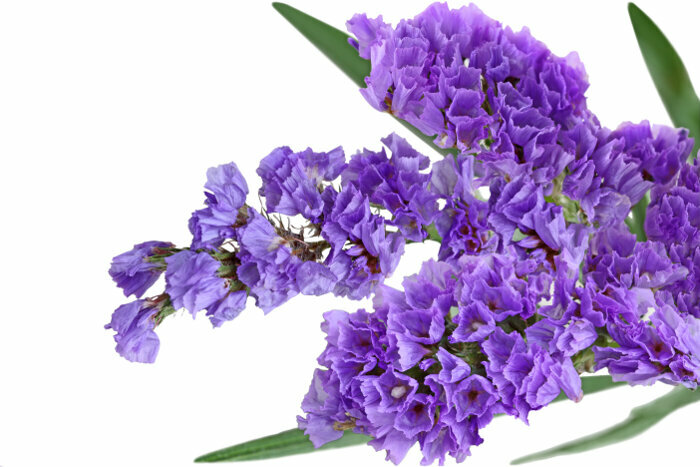 Statice symbolizes both fond memories and sympathy and can be used either in memorial wreaths and bouquets or in floral arrangements at reunions or meetings of old friends. They also symbolize success making them suitable for a wide variety of celebrations, too. Because the flowers are rarely used alone, the meaning of other flowers in the floral arrangement should also be taken into consideration. 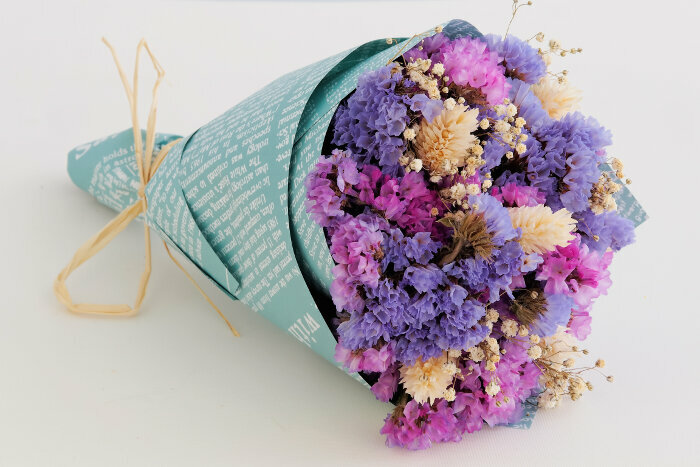 There are no specific meanings for the colors of statice flowers, but you can tailor the meaning of your floral bouquets by following the standard color meaning of flowers. The statice flower is also considered an herb and has been used in herbal remedies to treat toothaches, piles and ulcers. In aromatherapy is it thought to help you let go of your troubles and and promote a sense of well-being. 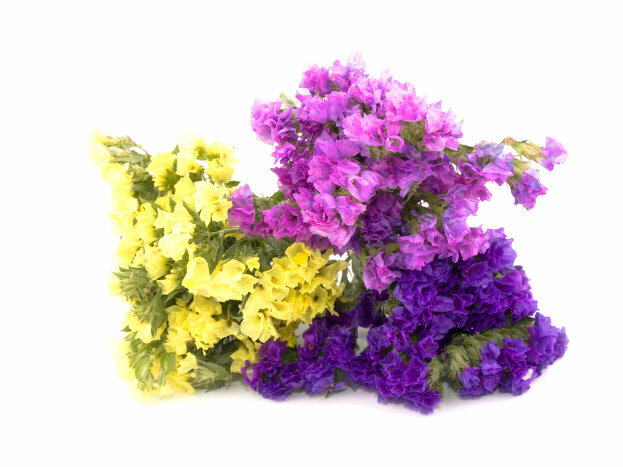 Statice is a versatile flower that is appropriate for nearly any occasion, particularly when used as a filler in mixed floral arrangements. These flowers work well for reunions, get-togethers among old friends or for birthdays and other celebrations. 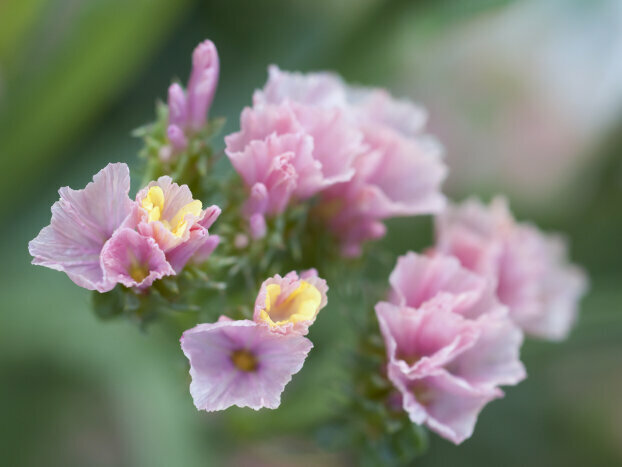 They are common in funeral flowers or for memorial services, but they don’t need to be part of a solemn event, as they symbolize success as well as remembrance. Tucked into floral arrangements to add delicate color, these flowers are right at home in office bouquets or for special events like graduations and other achievements. The statice flower’s message varies depending on the circumstances. While it can express sympathy and fond memories, it can also be a symbol for success. Use the meaning of flower colors and the other flowers in the arrangement to guide you in choosing in a bouquet with statice flowers. Misses key point : what is the meaning/origin of the WORD “statice”? You gave us the etymology of the genus (Limonium), but you did not provide the etymology of the common name (statice). Statice come from latin statice itself coming from old greek στατική (stakikê) which means static.